Eaton Vance takes seriously its fiduciary responsibilities to clients and shareholders, not only for superior investment performance, but also in terms of business continuity should an event arise causing interruption of normal operations. Eaton Vance Business Continuity Plans are designed to enable the various departments to respond to business interrupting events of varying scope – from minor incidents to the loss of an Eaton Vance facility and/or data center. Plans document data requirements and backup methods, mission critical applications, financial and operational assessments, alternate communications to customers and employees, alternate work locations for employees, critical service provider impacts and actions, and, where applicable, regulatory reporting. 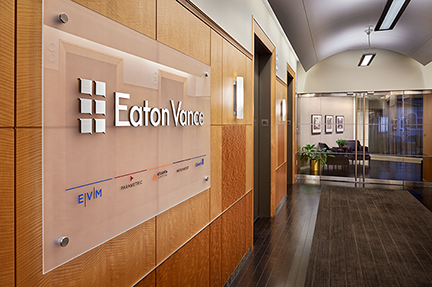 Eaton Vance’s recovery plans and capabilities ensure that access to funds and account information should not be affected under most circumstances. To access your accounts, either call 1-800-262-1122 or login here. Please note that extreme circumstances beyond our control may impact our ability to service our customers.